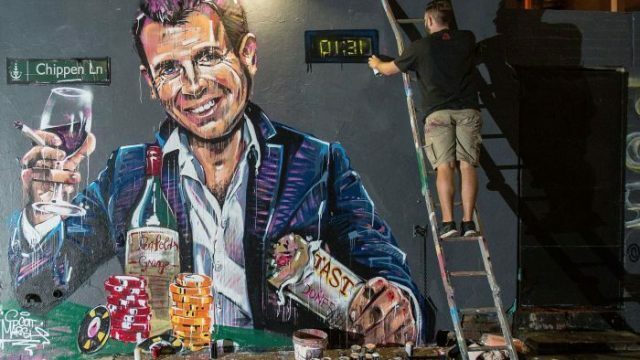 Mike Baird, one of New South Wales’ most maligned premiers isn’t ruling out the possibility that he’ll be the new CEO of NAB. That’s right, after former NAB CEO Andrew Thorburn stepped down in light of the revelations from the royal commission, the top job very well could end up in the lap of Baird, the champion of Westconnex, the flip-flopper on greyhound racing, and the shiniest defender of the Star Casino. And of course, author of the lock-out laws which just happened to impact many interests that happened to not reach Barangaroo. Baird, who is now the NAB’s head of retail banking, said of his former boss that Thorburn has “the highest integrity of anyone” he’d ever worked with, and that’d he’s “done well”, despite some things that have “not gone well at the moment”. Thorburn, in his own statement, said that he did not “perform well” at his appearance for the royal commission, and apologised for the bank’s failures. Baird started off at NAB, in fact, after studying to be an Anglican minister in Canada. He then moved onto Deutsche Bank and HSBC, before getting into politics in 1999, after a failed bid for the preselection seat in Manly, later winning it in 2007. Other implemented statutes to keep increasing prices in check, the Australian Parliament House website, has seen “further retail price deregulation” alongside “further privatisation of state government-owned electricity networks”. Casino Mike’s legacy, at least in the public eye, bristles the skin. To the average punter, he did more harm than good. Paint on a wall, or mud via newsprint tends to stick. Whether public decisions with private investment in mind is a boon in the banking sector is outside the point. He may well be qualified for the job, and he may eminently suit it. But the big four are attempting to navigate a public relations crisis of unprecedented magnitude. Appointing someone like Baird while they’re trying to win back our favour and trust could court disaster, even if it makes sense within their walls.